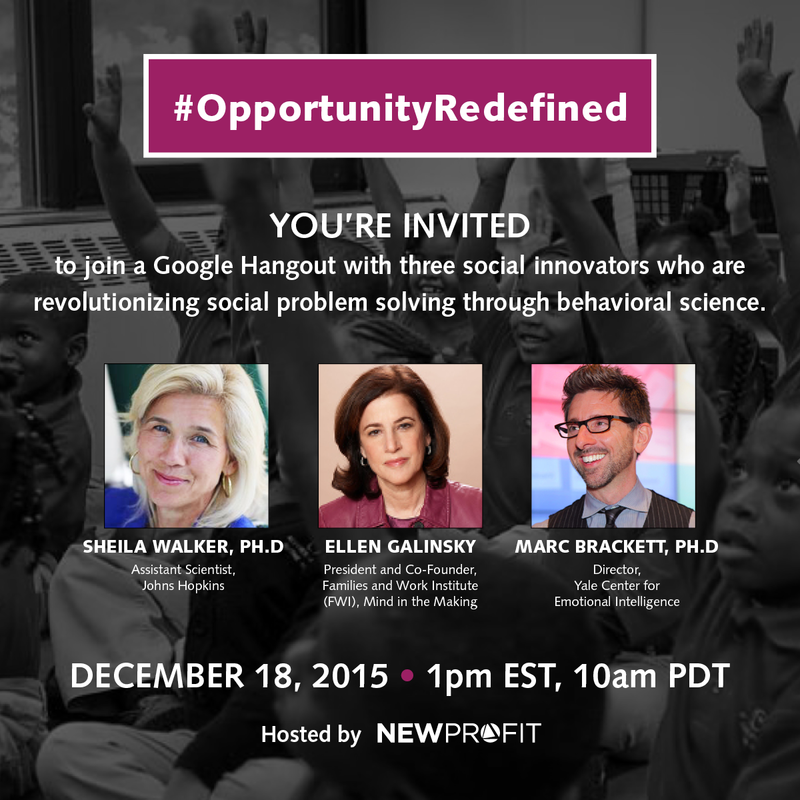 Next Friday, Dec. 18, at 1:00 PM ET, we are holding a Google On Air Hangout with three extraordinary social innovators – Sheila Walker of Johns Hopkins, Ellen Galinsky of Families and Work Institute (FWI) and Mind in the Making, and Marc Brackett of the Yale Center for Emotional Intelligence – as part of our #OpportunityRedefined series. Our panelists will discuss how they are revolutionizing social problem solving through behavioral science. They will also take questions from the viewing audience. You will be able to watch video of the event live through the below video window. Or, if you’d like to engage with the panelists by submitting questions, you can jump through to our Google On Air Hangout page (note: you’ll need a Google+ account to sign in) or submit questions through Twitter and Facebook by tagging #OpportunityRedefined. Click here to view the event page and to RSVP.